It appears that Vega Frontier is already being tested. 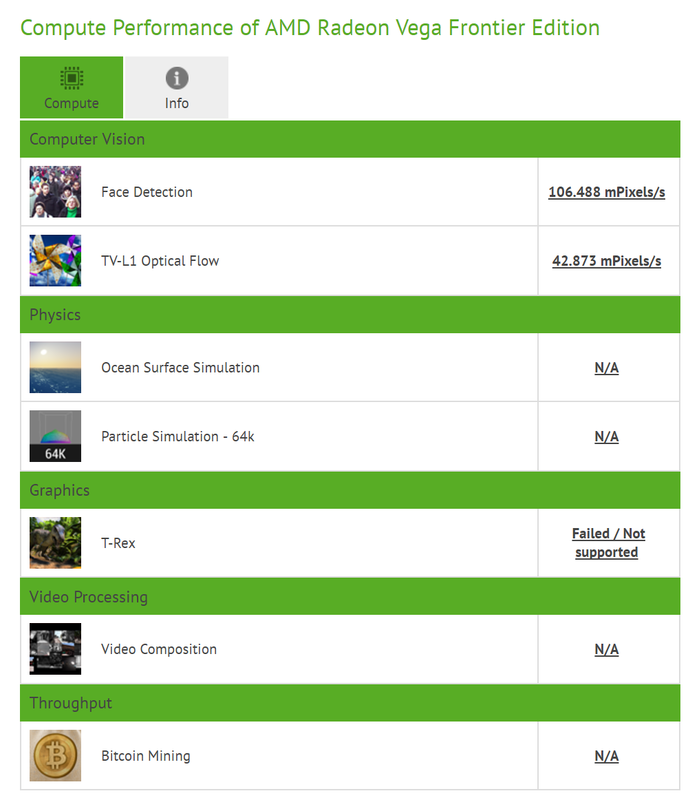 First traces of new graphics cards can be found at CompuBench database. The new card was detected with 64 Compute Units enabled and 1600 MHz maximum clock. The software recognized Frontier Edition with 4GB of memory (which is probably just an error). I wouldn’t really put too much to the benchmark results it achieved because it was only based on one sample. The only real thing coming from this ‘leak’ is that Frontier reached the final stage of the development. Many thanks to Miklos for the tip!